Liers in Wait came alive in the fall of -90 after the split up of Grotesque. Formed by Kristian Wåhlin (guitar) and Hans Nilsson (drums) , the original line-up also featured Jörgen Johansson (guitar, ex-Demolition and Awesome Nocturne) and Mattias Lindeblad (bass, ex-Braindead and Awesome Nocturne). However these two both left after a few months, and Mattias Gustavsson (Bass, ex-pre Grotesque band Conquest and Turning Crosses) joined. 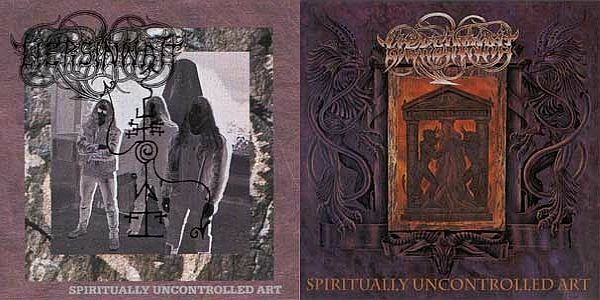 The whole 1991 was spent writing songs for the recording of the mini-CD "Spiritually Uncontrolled Art", which was recorded in October (vocals by Christopher of Therion). It featured all Liers in Wait songs except for the totally insane "Spiritually Uncontrolled Art". After the recording a few different guitarists and vocalists were tried out. In the spring/summer of -92 Moses (guitar) and Johan (vocals) joined. During this period a lot of songs were written like "Killing of eternal Souls", "Deserts of Rebirth", "Wasteland Desolations", "Madness" and "Lifecycle Decreation". A videoclip for "Maleficent Dreamvoid" was done in September -92. During the autumn about 10-15 labels showed interest, but the band failed to decide which label to go with. In March 1993 the band played two shows in Poland. A few months later Hans and Moses left (to start Crystal Age). In late -93 Johan changed to guitar and Mats (drums) joined. New songs like "Bleed for the Jackal God", "Crushed to the Altars of Amon", "Flight of the Archangels", "Resolution 666" and "Superimposed Divisions of Pain" were written. The band decided to record a full-length album for Listenable records mid -94 in Montezuma recordings. However, in September Mats left the band, and shortly after also Mattias. Daniel (Eucharist, drums) joined for a while in late -94 but as things were falling apart he left and Kristian and Johan formed Diabolique. In mid -95 Hans came back and did an one-off appearance on the "Angel of Death" Slayer cover for the Black Sun tribute album, but since then, the band has been inactive.